“Time and attention.” Easily overlooked, the battle for our individual attention wages on, as our “focus” becomes the most valuable modern day commodity. And as if living in a world driven by ever-advancing tech and screen-based entertainment wasn’t distracting enough, try being a young adult. Relationships, conflicts, hormones, emotions, academic demands, social anxieties, peer-pressure, developing identity, the list could go on. Life stressors continuously assault the average teenager. Adeptly negotiating these transformative years should come with a playbook. Fortunately for Destiny Javier her attitude, perspective, and approach to life is anything, but average. At fifteen, Destiny, a homeschool student who is raising the bar for the next generation of youth, has learned the importance of focus. Where her peers are routinely being tugged in multiple directions, Destiny has been diligent to develop and hone an appreciation for things that we used to hold dear: values, morals, hard work, and physical effort. 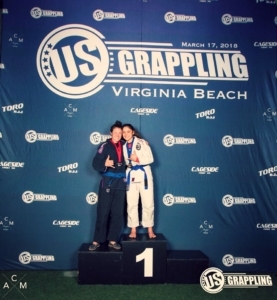 As an avid exerciser and health enthusiast with a passion for challenge it wasn’t long before she discovered the sport of Brazilian Jiu Jitsu. Maintaining a life philosophy that, “If you stay positive, you can accomplish anything” Destiny quickly took to the competitive martial art. 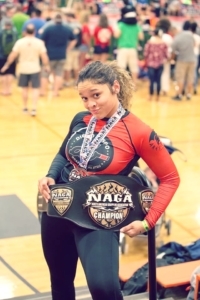 To date her biggest accomplishment has been taking home a championship belt in the No-Gi expert division during this years’s NAGA Virginia Beach Championship. 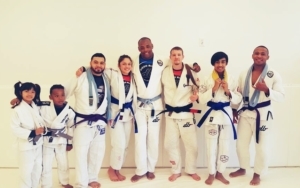 Although her contemporaries may be fixated on their IG threads, Destiny has found solace in Jiu Jitsu providing an environment where she can relate to and share with like-minded individuals. Furthermore, DBA’s class dedicated to serving a women-only warrior tribe opens the door for deeper connection and greater bonds. 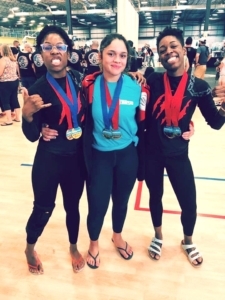 “I love how almost all females can relate on certain things and how we can share our stories with one another.” On the mats Destiny also appreciates rolling with other females, where strength is more equally matched affording the benefit of a fair fight. 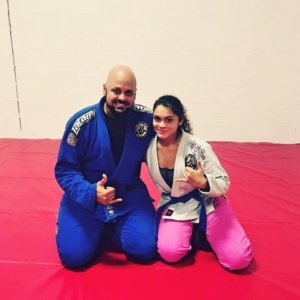 With her eyes set on a future, where she envisions herself as a world champion black belt competitor, the excitement of testing how far she can take her BJJ potential is a continuous motivator. In less than two years, Destiny picked up the rank of blue belt (usually reserved until age sixteen). Yet the road traveled has not been without obstacles. One of her biggest challenges with BJJ is keeping up with an opponent’s faster pace. “I have trouble with reacting quickly when rolling. It’s mostly just hesitation and being cautious.” In effort to eliminate any hesitation Destiny often observes the technique of higher belts and seeks to emulate. In alignment with her goal of rapid response, her only game plan when competing is to always get the first takedown. From there her favorite “go-mode” is to smash-and-pass and hammer home the pressure. Despite her young age, Destiny has recognized early on that even though we all make mistakes the best path forward is to learn from these hiccups. Equally commendable she is quick to point out the importance of not focusing on other people’s lives. In BJJ this translates to understanding that although you may be struggling with a specific technique, or guard style, or maybe your partner keeps steam rolling you – you have to remember that everyone starts at the beginning. Keeping her focus in check like this on the mat has paid dividends in her ability to out maneuver opponents and crush opposition when toeing the line. Nevertheless, Destiny remains a humble and grateful competitor. “I am in love with this sport called Brazilian Jui Jitsu; it has been such a blessing to my life. Join Destiny in this community of hard-charging, yet humble warriors.Stop by the gym! We have classes for ages 3 y/o through adult, 7 days a week! See you on the mat! OSS! Fill out the form and our team will be in touch with you promptly. Thank you for your interest in our Adult Brazilian Jiu Jitsu Program! Fill out the form and our team will be in touch with you promptly. Thank you for your interest in our Women Only Brazilian Jiu Jitsu Program! Fill out the form and our team will be in touch with you promptly. 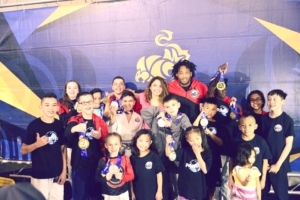 Thank you for your interest in our Kids Brazilian Jiu Jitsu Program! Fill out the form and our team will be in touch with you promptly. Thank you for your interest in our Adult Muay Thai Program!